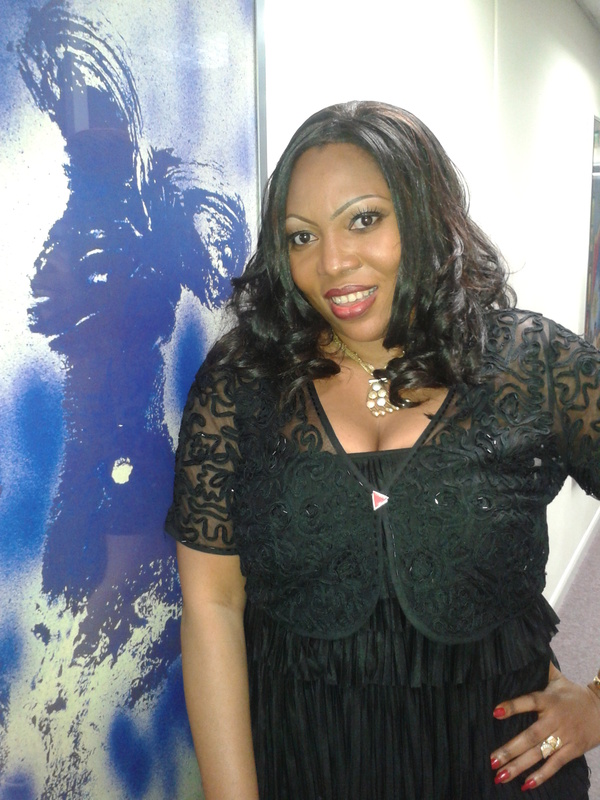 Accents and the Tragedy of Self-Hate » « I AM A WOMAN AND I AM WEEPING! The aftermath of a tragedy always see many people praising ‘God’ for how they managed to escape and survive the tragedy. From natural disasters like the fatal earthquake in Haiti, Tsunami in Japan, Tornadoes in Oklahoma to the very avoidable road accidents and man-made plane crashes in Nigeria, many always come up with the “Thank God I survived” and “God knows best” supplication. Truly—Thank God? Really… God knows best? Do people ever pause to really comprehend how selfish and distasteful this statement is? There you are, staring at the burnt remains of humans from a fire accident, grossly twisted bodies of innocent children from a car accident, pieces of charred human flesh scattered at a bomb blast scene or your neighbor’s body, half buried under a pile of debris caused by a natural disaster and all you could say is, thank God it wasn’t you. Really? Yes, you might be glad that you are not one of the burnt persons, that your child is not the grossly twisted child who groaned and screamed in agony but should you not save your ‘Thank God’ supplications for the privacy of your room when only you and your ‘God’ is present? You hold a ‘Thank God I survived’ thanksgiving in your church? You gleefully give a testimony of how God saved you from the wreck of a burning building even though your neighbors and their innocent children all perished in that wreckage? You claim that you survived because God loves you therefore implying that your God didn’t love the dead victims enough to make them survive or even prevent the accident? You say that it is not your portion, but then whose portion is it? Did your God gleefully assign the portion of death by fire, air crash, burning buildings or natural disasters to others while this God anointed YOU with the portion of “You shall be part of it but shall not die so that you can live to testify to my goodwill and glory”? 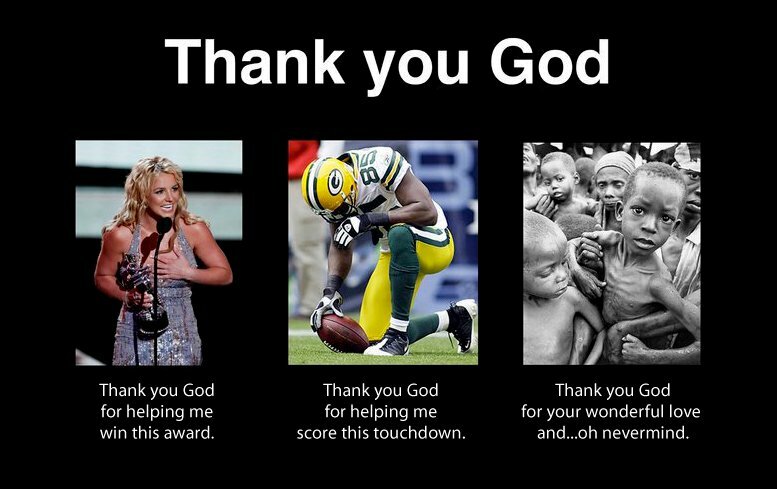 Oh, I should save my breath but do you really think of your God as a childish, bigoted, selfish, egoist being who kill people just so you should have the opportunity to thank him and appreciate his glory the more? Is this really the image of the God you want to sell to me? Hmm…Actually, yes, this is the image of the bloodthirsty Abrahamic God as portrayed in the Holy Bible and Holy Quran, but really, do you still want to keep making Gods in your own sadistic, bigoted and egoist image? What is it about my country people that make them so afraid of questions and confrontations? They are afraid of every authority whether real or imaginary! Does their precious bible not say something like ‘Seek ye the Truth and the Truth shall set you free’? Why are we so afraid to open the Pandora’s Box even if it contained unpalatable truth that could set us free? Why should the truth box be a ‘no go area’ especially where questions of religion are concerned? Now, if I had any superpower that would have allowed me to prevent such a terrible accident, of course I would use my superpowers even if it cost me the last reserve of my superpower. I mean, is that not the stuff heroes are made of? Always ready to help humanity, anyone in need even if it means going that very extra length? Isn’t that why we love Spiderman, Superman, Voltron, Wonder woman and all great action heroes and heroines? Why can’t we expect same of God? Is God not a hero or is there a double standard for heroes? 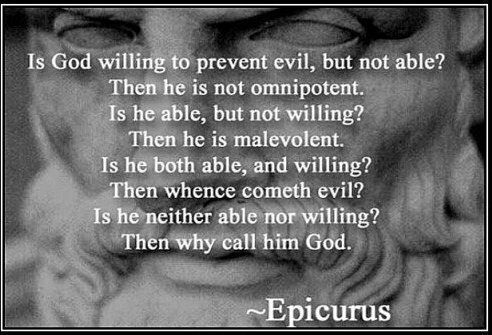 ”Is God willing to prevent evil, but not able? Then he is not omnipotent. Omnipotent– He could have stopped the accident from happening. Omniscient– He knew that plane was faulty and could even have rectified the fault if he wanted. Omnipresent– He was present during those agonising minutes and heard the heart wrenching cries of the people; definitely many would have called out to him in their desperate hour of need while that plane dived to its death. He could have stopped the disaster but chose not to. Did he simply turn a deaf ear to the pleas? Did he feel half the sorrow we all feel now when he was listening to the anguished cries of everyone on board but chose not to do anything about it? Did this God choose not to help because of Freewill? If everything was part of God’s plan, was this accident also part of his plan? If God refused to help because the ‘Wages of Sin is death’ and ‘all have sinned and come short of the glory of God’ as the bible claims…why not just wipe out the human race? Why are the animals also suffering, did they sin too? Why won’t this God just switch off whatever engine is keeping humans alive and make a new set of humans, after all, scientists and inventors improve on their inventions all the time, maybe it is time for this Creationist God to improve on his human invention rather than make people die slow agonising death on earth while he stokes the flames of hell fire for his faulty creations! Please, do not say it is because of an original sin committed by a woman made from the rib of a man, who was tempted by a talking snake to eat a forbidden fruit planted by the Creator aka God, in the garden of Eden! That is an absurdly ridiculous story for adult bedtimes! And nope, God works in mysterious ways does not cover this and actually it covers NOTHING! Saying “You can’t understand because your eyes are blind to the truth” is also a terrible cop-out, it is not an argument, just a sad way of avoiding a logical debate. Really God Knows best? And that is supposed to be a comforting statement? God knows best, that is why he allows so much suffering, air crashes, cancers, famine, natural disasters etc. Yeah, God knows best. I truly will never understand how that can be a comforting statement. Saying God knows best in the face of disaster is itself admitting that this God knows nothing, is bigoted, is evil or just plain don’t exist. When next you say God knows best, you are practically depriving yourself of the power to make a change. When you imagine your dead Pastor sitting at the right hand of God, you console yourself that he is in a better place and you therefore lose the urge to demand that his killers be brought to book. When you imagine your precious child who died in that plane crash, floating with angels in the bosom of the Lord, you lose the will power to demand that the killers be tried in a court of law. When you console yourself with the image of your oxford bound sister who lost her promising life in that plane crash with the idea that God had a better plan for her, you lose the ability to be angry enough to demand that justice be done. God knows best is itself a calamity statement. Whether you believe or do not believe in the existence of a God, God knows best is a statement that robs you of your power to make a change. If we truly desire a change, a positive change in the fortune of our country, we have to start thinking of making that change ourselves and not leave it up to a deity, real or imagined to make that change on our behalf. 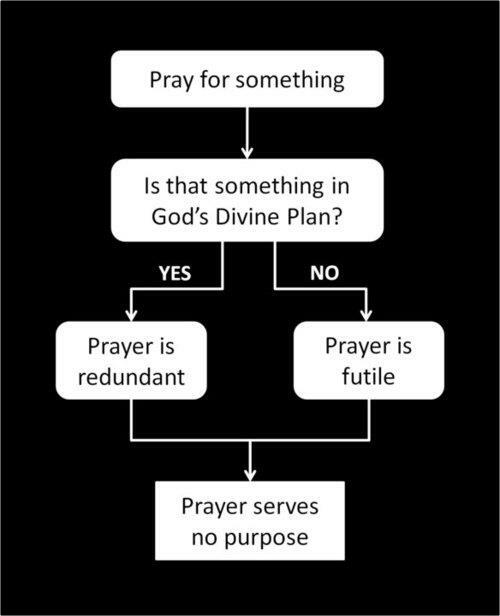 Why do you think this Deity/God would change His/Her/Its plan just to suit you anyway? Why not take your own destiny into your own hands and mold it? 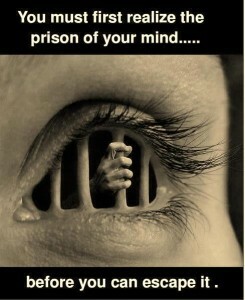 Why not challenge authorities that imprison you physically, emotionally, spiritually and mentally? The greatest prison is our minds, the most difficult chains to let go is the chains of mental slavery and we are never truly free until we let go of the prison of our mind. 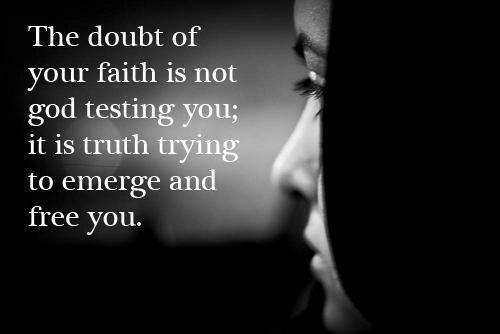 Be not afraid to question.Your question is not a doubt of your faith but the truth slowly emerging to set you free! When next you feel the urge to exclaim “Thank God I survived” after a fatal disaster, remember that your God had no business allowing that disaster to happen in the first place. If your God had no control over the disaster, why call him God? Why assume God saved you? Why rub it in the faces of others whom your God didn’t love enough to save from the disaster? Why be as self-centered as your God? Way too much logic for the masses. They just don’t ever seem to really think about what they say. The brainwashing runs too deep. I also don’t find it the least bit comforting that god’s grand plan uses the deaths of children as a means to an (inscrutable) end. Do people ever pause to really comprehend how selfish and distasteful this statement is? Humility, goddists call it, and tritely pious to the degree that it has become an idiom. When next you feel the urge to exclaim “Thank God I survived” after a fatal disaster, remember that your God had no business allowing that disaster to happen in the first place. If your God had no control over the disaster, why call him God? Why assume God saved you? Why rub it in the faces of others whom your God didn’t love enough to save from the disaster? 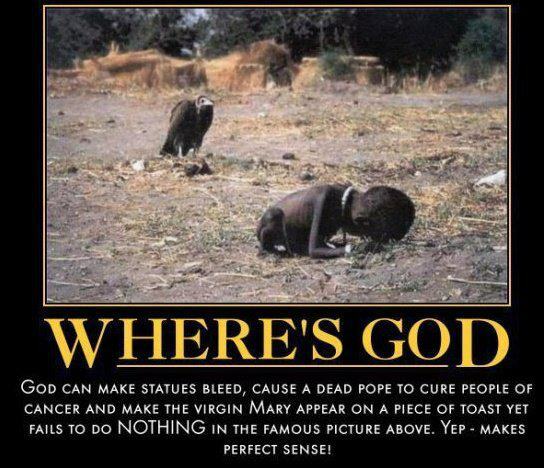 Why be so self-centered as your God? I don’t expect any goddist to show up in the comments here and address your rhetorical exhortation. In case anyone missed it check out this video PZ found…CNN’s Wolf Blitzer asking a woman whose quick thinking saved her baby’s life in the Oklahoma tornado if she thanks the Lord (“You DO thank the Lord, don’t you?”)…her reply is priceless. And I always say what a BS nonsensical answer. The “God works in mysterious ways” excuse helped drive me away from religion. I couldn’t reconcile believing in an all powerful, capricious, uncaring ruler but couldn’t accept a capricious, uncaring universe where things (good and bad) happened. @ s. pimpernel, @ DaveX @ BAN and @Cynickal. Thanks, yes, it really looks so simple a conclusion to reach yet it is so difficult getting believers to understand this simple truth. Religion is indeed a Zombie brain eating cancer, it distorts even the simplest of facts and makes its victims say and defend the stupidest things. A goodist with a fraction of a working brain left wouldn’t call it humility, because there is no humility in thanking an “All powerful” being for saving you from a fatal disaster when this being could have saved innocent lives that were lost or still being lost. Anyone, be it a goddist or atheist who tried to infer that it is humility needs their brain examined. If anything, it is the opposite of humility, it is arrogance, self-centered and pure egoism. Neither do I, but no qualms, plenty showed up when this piece was first published on my Facebook page. The essence of the “rhetorical exhortation” is to give them something to ruminate over, not necessarily comment on; after all as you observed, these are rhetorical questions, hardly needing an answer. God knows best is itself a calamity statement. Even more, many C’s mutter that the wrong doers will get theirs come judgement day. So, that’s two reasons for their complacency (and let’s not start on immanent rapture as an excuse for not doing anything). @mikmik… and Karma, don’t forget Karma. 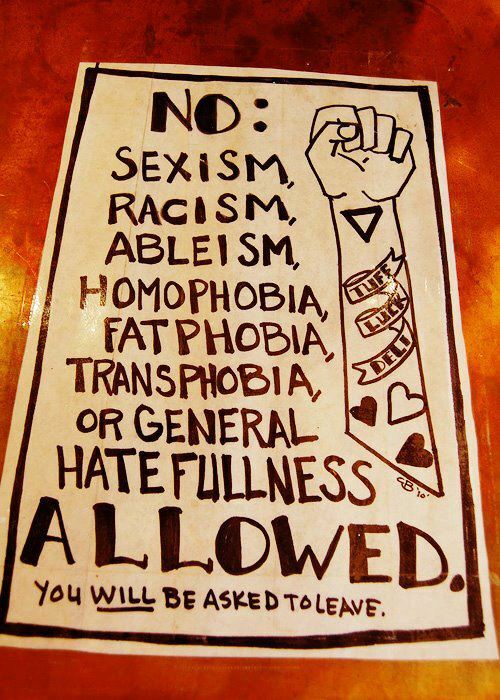 The complacency this promotes get’s me all riled up! Slightly OT, but I recall it took me several years after becoming an atheist until I rejected karma. IIRC, I had an epiphany at work when discussing the subject. I remember stopping after saying something like “he’ll get his in the end”. I thought about it and started wondering HOW anyone could get punished for their actions. As I understood karma at the time I thought ‘doing bad things to others will cause bad things to happen to you”. I realized that some sort of cosmic judge would have to be tallying things up and would have to ensure that Specific Bad Thing 1 would happen to Human Being #5,009,345. Not believing in a higher power, I realized that without a cosmic skydaddy, or any kind of cosmic intelligence, how would punishments be doled out (nevermind that any act of punishment would likely hurt others…”here is your heart attack because of running that red light” would bring some emotional pain to friends and family too). It seemed too “just”. That began my journey away from thinking the universe conformed to the desires of humanity. Along with stuff like “it all works out in the end” (which was silly to me…in the end we all die…how is that ‘working out’), I began thinking abo ut these ‘sayings’ and truisms that people take for granted and say to make one another feel better. I realized that we have no way of knowing these things, so uttering these sayings was useless. It isn’t helpful to say ‘It’s god’s will that your child died’ anymore than it is to say ‘I know you’re jobless, but it all works out in the end’. If that’s someone’s idea of consolation, they can shove it somewhere. Karma. 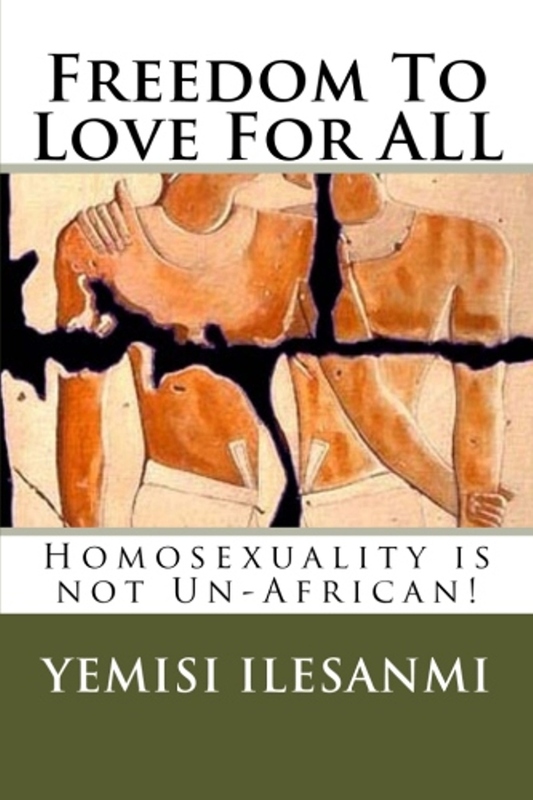 No doubt, Yemisi Ilesanmi! Yeah, Tony, “it all works out in the end” and “what goes around comes around” drive me bonkers, and they are all intellectually insulting, and mere brush offs. u think u gave urself life!! Thank you for the excellent items on your page. This is a friendly note to alert you to a grammatical error in the “Where’s God” infographic. The double negative turns it into a positive. Hope that’s helpful. It could easily be fixed in Photoshop.